Thanks for Joining the Mobil 1 Club! With the Mobil 1 Club you will receive members-only savings, exciting news and special events, maintenance tips and seasonal advice to maintain your vehicle. As our appreciation for signing up for our Mobil 1 Club, you'll be entered for a chance to win oil changes for a full year. 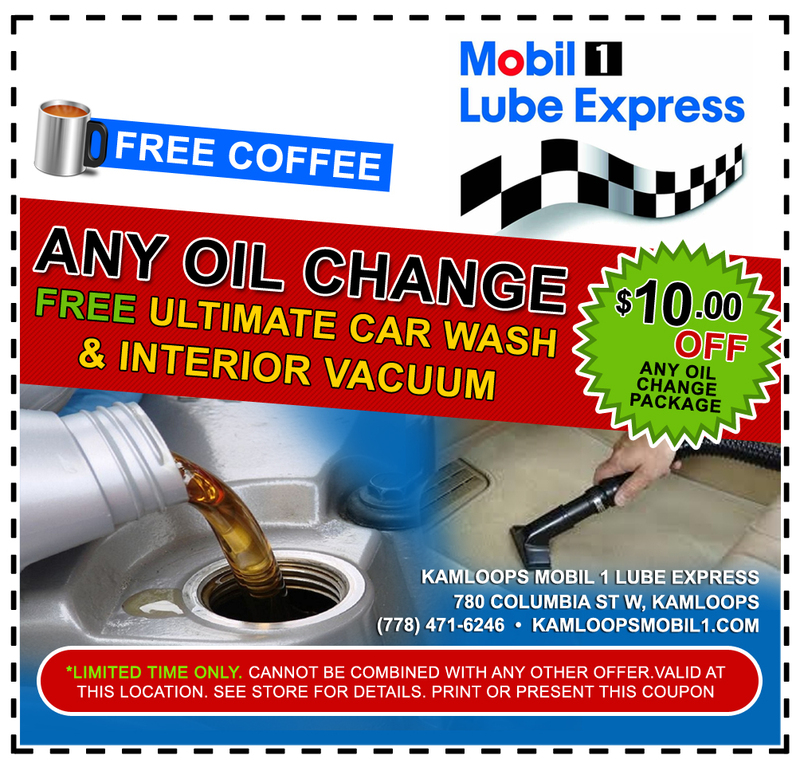 We will be sending you these exclusive offers via email to use when you visit our Kamloop's Mobil 1 location. Please present each offer to the technician before servicing your vehicle.